When it comes to finding the perfect senior housing situation for yourself or your loved one, the process can be overwhelming. In any given area, there are hundreds of options to choose from, and finding the “right” place can be challenging. 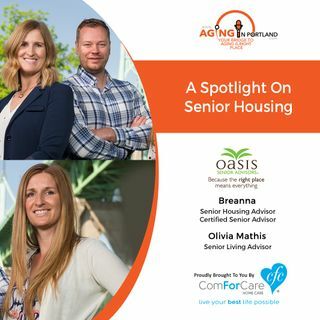 At Oasis Senior Advisors®, we are committed to simplifying the process of selecting a senior housing facility for you and your family. We are a local, community-based service, offering a personal, compassionate touch tailored to you and your unique needs.